Wish you were here to experience the glories that can’t be put into words: the quiet so peaceful as to hear the cattle chewing in the pasture, the wings of a bird flap overhead and the swishing sway of the wild apricot trees that line the creek; the air so fresh as to send scents of damp earth, growing grass, wood fencing and green herbs that grace the cultivated gardens; the welcome so warm as to remind one of returning to a family home for Christmas after a long stay away. 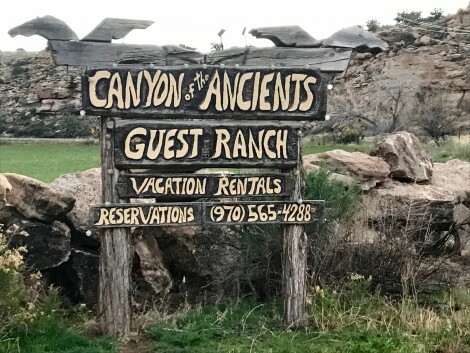 All this magic surrounds Canyon of the Ancients Guest Ranch & Vacation Rentals, located in the scenic McElmo Canyon near Cortez, Colorado. 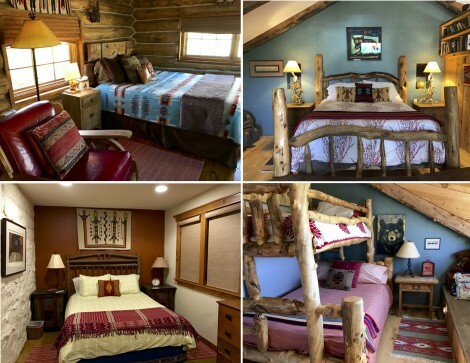 The ranch was originally owned by the legendary Eldon Zwicker (subject of the video “Zwicker—An American Cowboy,”). When Eldon died in 2000, the ranch land, parceled into thirds, passed onto his three sons. 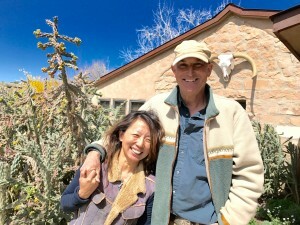 Garry Adams and wife Ming bought nearly 2,000 acres from the youngest son in 2005 and set about fulfilling their own ranching, farming and hospitality dreams. Today the property multi tasks to perfection. 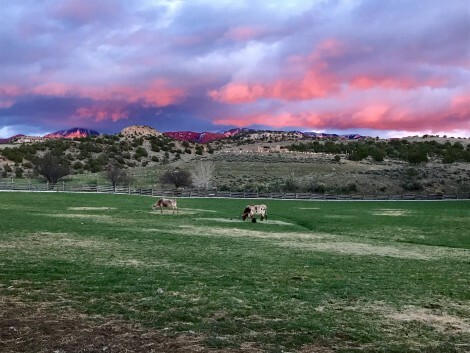 The ranch raises grass-grazing beef and lamb sold to restaurants, at farmers markets and on property. 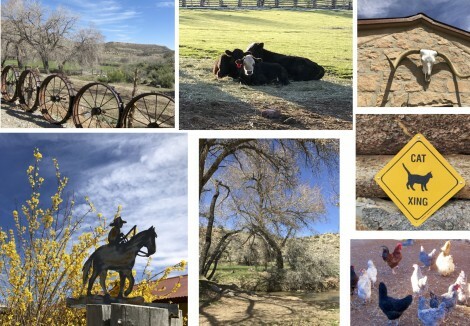 The farm produces organic vegetables and herbs, apricots, plums, peaches, apples and eggs from chickens free to wander their home on the range. 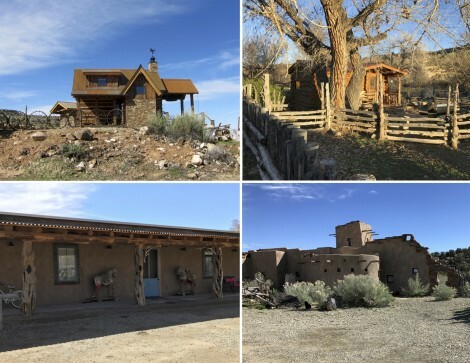 And the rental units, six independent guest houses, offer unique stays for those in search of privacy, natural beauty and life on a working ranch/farm that is set in the mists of a dramatic canyon packed with archeological sites. Let me tell you about the guest houses. 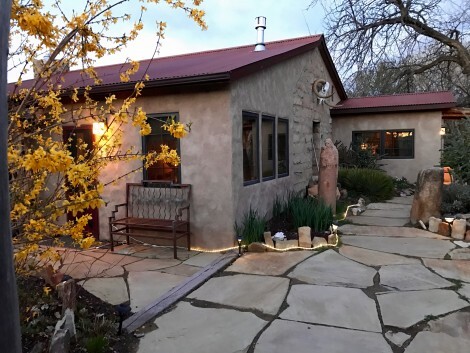 Each is unique, but all have a kitchen, TV, WiFi, updated bathroom and patio with barbecue equipment. Most have washers and dryers. 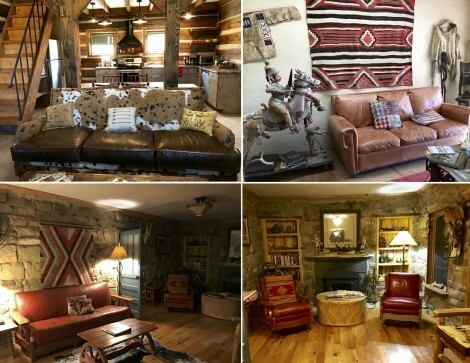 Although building materials, exteriors and configuration of interiors differ house to house, each is packed with dashing decor that manages to mingle Old West with Native American, Indian (as from India) and highly personal items from Gary’s childhood (such as his father’s hand-made train sets and photographs of relatives who led fascinating lives). 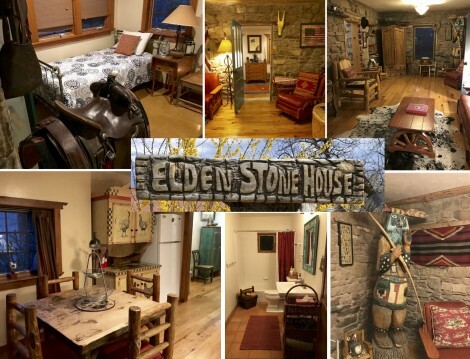 My family rented the Elden Stone House. As the name describes, the house is built of stone and has three bedrooms, two of which have a queen bed and one, a twin. The house sports a large living room, fitted with a TV and tons of books; one bathroom, fitted with a combo shower and tub; and a large kitchen, fitted with cooking equipment and dining table. Guests do their own cooking and bring their own groceries, but Ming puts just-laid eggs in the kitchen and allows guests to pick from the garden and orchard what ever they want to make for meals. She also will sell them beef or lamb to supplement the farm goodies. But it’s not just indoors that is so appealing. Outdoors holds a wonderland of enchantments. 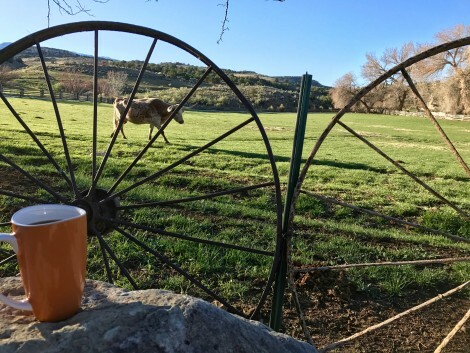 Drinking the first cup of morning coffee on a patio overlooking the pasture where the sun is spreading light over grazing cattle. Watching the children go into the chicken coop and collect eggs for breakfast? Counting the new babies in the pasture? 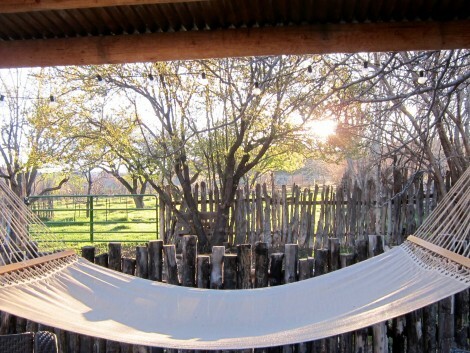 Hiking, mountain biking, horseback riding and otherwise exploring the property and surroundings. 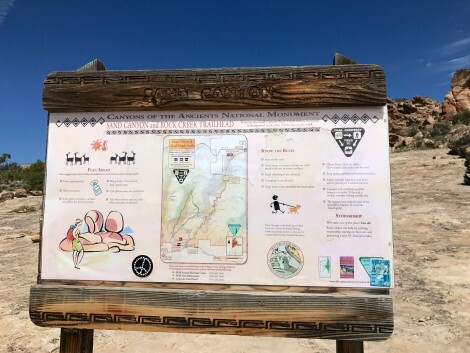 Thumbing through Garry and Ming’s new book, Spirits of the Stone, seeing the rock art and petroglyph photographs taken by Garry and Ming in Utah and Colorado and wondering what your own explorations will yield. 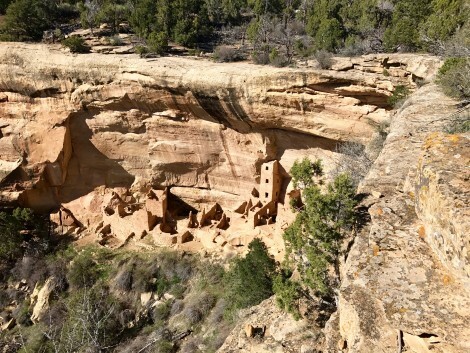 Taking excursions to nearby Mesa Verde National Park, Canyon of the Ancients National Monument and/or Hovenweep National Monument. Sitting under a tree reading as the birds and bees buzz by. 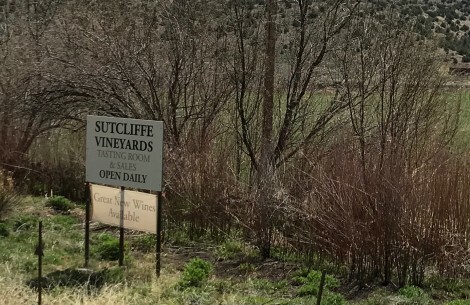 Visiting neighbor Sutcliffe Vineyards, catching the stunning views, tasting wine and picking up a luscious bottle or two to go with dinner. Watching what has to be the most glorious sunset in all the land burst into flame on the mountains. Cooking a grand meal with ingredients grown within steps of the kitchen to eat alfresco by star and candlelight. 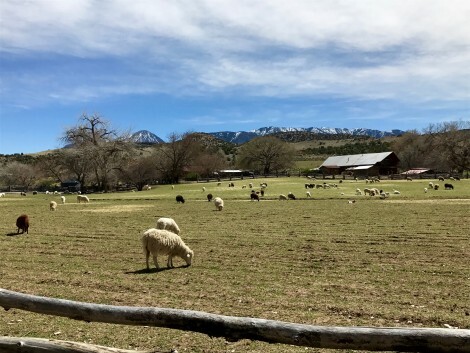 The following recipe yields a lamb stew that is both rustic and elegant—just like the ranch. Buy the lamb from Ming. Pick the vegetables from the garden. Serve with wine from Sutcliffe Vineyards. Breath in the fresh air. Stargaze. Savor. You will think you have found one of the most heavenly spots on earth. And you would be right! Trim excess fat and fell from lamb and cut into 2-inch pieces (keep a few bones as they add flavor to the stew). Peel and chop 1 carrot and shallots. Put a thin layer of oil in a Dutch oven (or similar heavy casserole with lid) and set over high heat. When oil is hot, brown lamb. (You may have to brown lamb in batches to keep pieces from touching.) Transfer browned lamb to plate. Drain fat from casserole. Add 1 tablespoon butter to casserole and set over moderate heat. When butter is melted add diced carrot and shallots and sauté, stirring often, for 3 minutes. Deglaze casserole with wine. Boil to reduce all but about 1 tablespoon wine. Remove casserole from heat. Return lamb to casserole and sprinkle with 1 tablespoon sugar. Toss lamb and vegetables to distribute sugar and set in a preheated 450°F oven for 5 minutes. Sprinkle lamb with flour, 1 teaspoon salt and 1/4 teaspoon pepper. Toss to distribute flour and cook, uncovered for 5 minutes. Meanwhile, put 2 cups beef broth, tomato paste, garlic, thyme or rosemary and bay leaf in a small saucepan bring to a simmer, stirring often. Stir in parsley stems. Pour mixture over lamb in oven, adding more broth if necessary to almost cover meat with liquid. Set lid on casserole. Reduce oven heat to 350°F and cook at a gentle simmers for 75 minutes. Meanwhile prepare vegetables. Peel and trim remaining carrots and cut into 1-1/2 inch lengths. Peel potatoes. Bring a large pot of salted water to a boil, add carrots and potatoes and boil 6 minutes. Drain well. Set aside. Cut a cross in the root ends of the onions. Melt a little butter in a medium skillet set over moderate heat. Add onions to skillet. Sprinkle with a little sugar and toss gently. Sauté until onions begin to brown. Add enough beef broth to skillet to barely cover onions and simmer until onions are tender. Set aside. Drop peas and asparagus into salted boiling water and cook until green colors intensifies, about 4 minutes. Drain in a sieve and and run green vegetables under cold water to stop the cooking and set the color. Set aside. 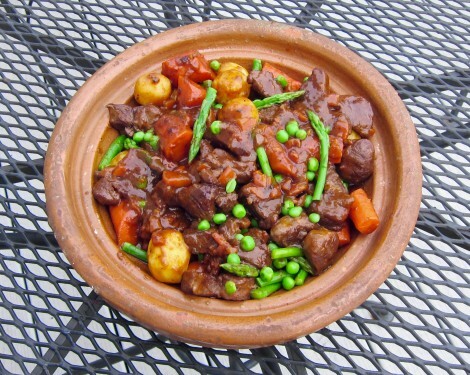 Remove lamb from oven and pour contents of casserole into a sieve set over a large bowl. Rinse out the casserole or wipe it clean with paper towels. Remove bones and stems and bay leaf and return lamb to casserole. Add potatoes, carrots and onions (with skillet broth). Skim fat from sauce in the bowl, correct seasoning and pour over ingredients in casserole. Mix gently so that all ingredients are covered in sauce. Cover casserole and return to 350°F oven. Cook (at a slow simmer) until vegetables and meat are tender, 15 to 30 minutes. When lamb and vegetables are tender. Scoop as much fat as possible from top of sauce. Add green vegetables and heat just until the vegetables are hot. Serve immediately.